He has Visiting Medical Officer (VMO) appointments at St George Public, St George Private, Sutherland, Kareena Private, Concord Private, Sydney Private and St Luke's Hospitals. After obtaining his primary medical qualifications - MBBS, he did a postgraduate doctorate research fellowship at the Department of Surgery at the University of Berne, Switzerland. Dr Kuzinkovas worked in line with the world-renowned expert in Upper Gastro-Intestinal and Pancreatic Surgery - Professor Markus Büchler. As an academic fellow he did laboratory-based research in the field of Laparoscopy and Surgical Immunology, culminating with the degree of Doctor of Medicine - MD. He went on to the United Kingdom and completed an advanced surgical training at West Midlands University Teaching Hospitals, obtaining MRCSEd and FRCSEd degrees. The UK specialist surgical qualifications were accredited by the Royal Australasian College of Surgeons and he was awarded a FRACS. During his surgical training in the UK - Dr Kuzinkovas has acquired an extensive expertise in managing complex General and Upper Gastro Intestinal surgical cases, in particular - obesity surgery, antireflux surgery and radical resections for the gastric and oesophageal malignancies. 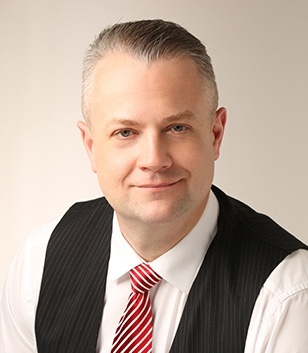 This expertise has further expanded since he started working in Sydney in 2008. Dr Kuzinkovas performed more than 5000 various laparoscopic surgical operations as well as numerous Endoscopies within the field of General and Upper Gastro - Intestinal Surgery. Dr Kuzinkovas is actively involved in teaching of the medical students and surgical trainees. 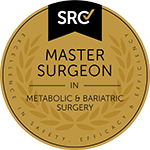 He is a fellow of The Royal Society of Medicine of Britain (RSM) and a member of a number of local and international surgical societies including the Obesity Surgery Society of Australia and New Zealand (OSSANZ), The Australian and New Zealand Gastro-Oesophageal Surgical Society (ANZGOSA), American Society of Obesity and Metabolic Surgery (ASMBS) and The International Federation for the Surgery of Obesity and Metabolic Disorders (IFSO). Dr Kuzinkovas states: "Our philosophy at Advanced Surgicare is based on belief that every patient must be treated with dignity and compassion. 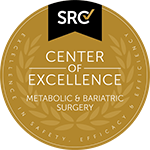 We practice only patient focused service by applying the principles of medical ethics and surgical expertise. Our dedicated team helps patients to address their surgical needs and believes that - as weight loss and gastro-oesophageal surgery involves operating on patient's upper gastro-intestinal tract, only the experts of this field can achieve the best results." Click here to know more about Dr V. Kuzinkovas.